This is an ultra-nourishing formula that softens lips and eliminates dryness and rough texture. 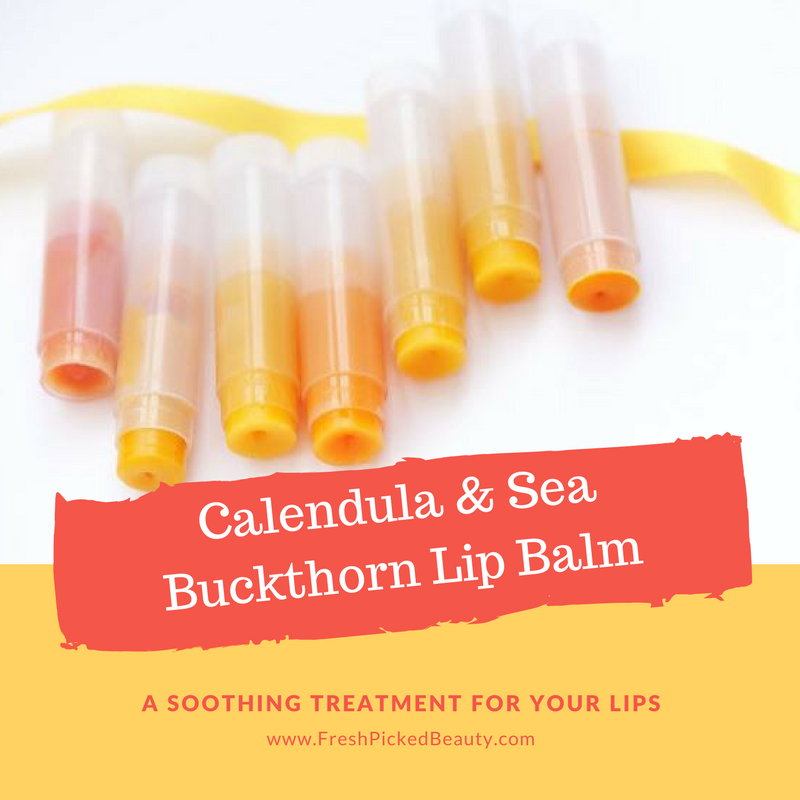 The calendula infused oil provides advanced healing nourishment and soothing relief to your lips. The repairing sea buckthorn oil provides powerful healing and long-term protection. This lip balm is a first aid blanket for your lips. Keep your lips chap-free and soft all summer long! According to Mountain Rose Herbs, calendula oil is one of the most popular and effective topical oils. 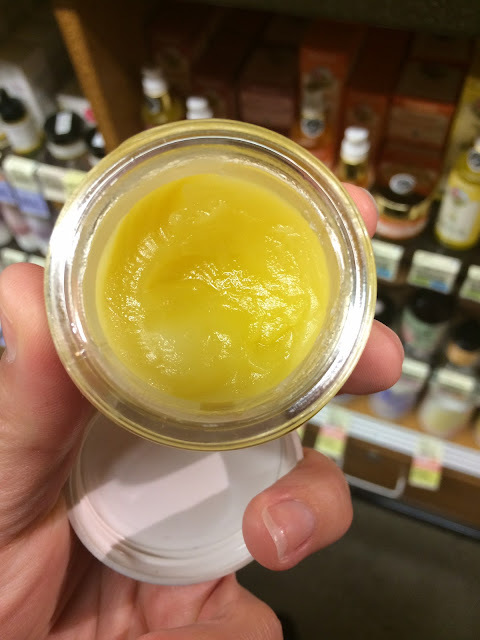 This oil makes an excellent base for lip balms. It is gentle and cooling and perfect for anyone spending a lot of time outdoors with high exposure to the elements. It is exceptional for those with sensitive skin. If you don't want to make it yourself (it takes about 6 weeks), you can purchase it from Mountain Rose Herbs. They make small batches that is solar infused in a window at their facility. They only use certified organic Calendula officinalis flowers, organic Olive oil and a touch of Vitamin E Oil. Click here to learn more. If you want to learn how to make it yourself, visit my Calendula Infused Oil Tutorial page HERE. You can purchase certified organic Sea Buckthorn oil from Mountain Rose Herbs. Click HERE. 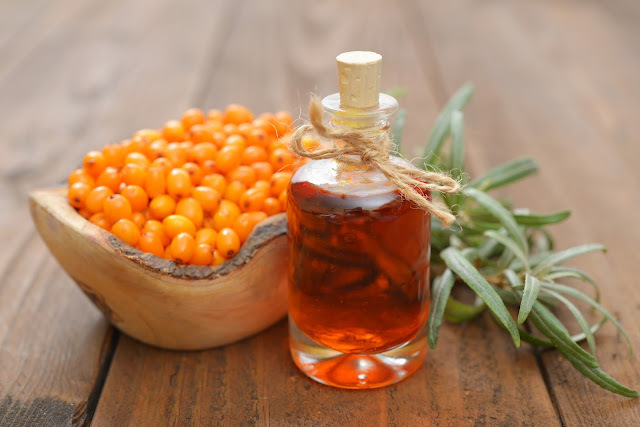 Sea Buckthorn oil is a very interesting and therapeutic oil. It is cold pressed from the entire berry and seeds. This oil is high in essential fatty acids, carotenes, tocopherols and phytosterols. You only need a tiny bit in your recipe to realize the benefits. The color is a natural deep amber red that gives you lip balm a nice sunshine color. 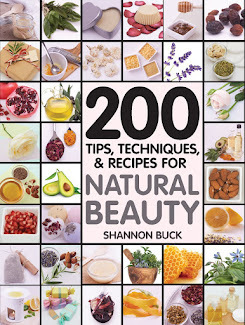 Shop Mountain Rose Herbs for Sea Buckthorn Oil. Click HERE. 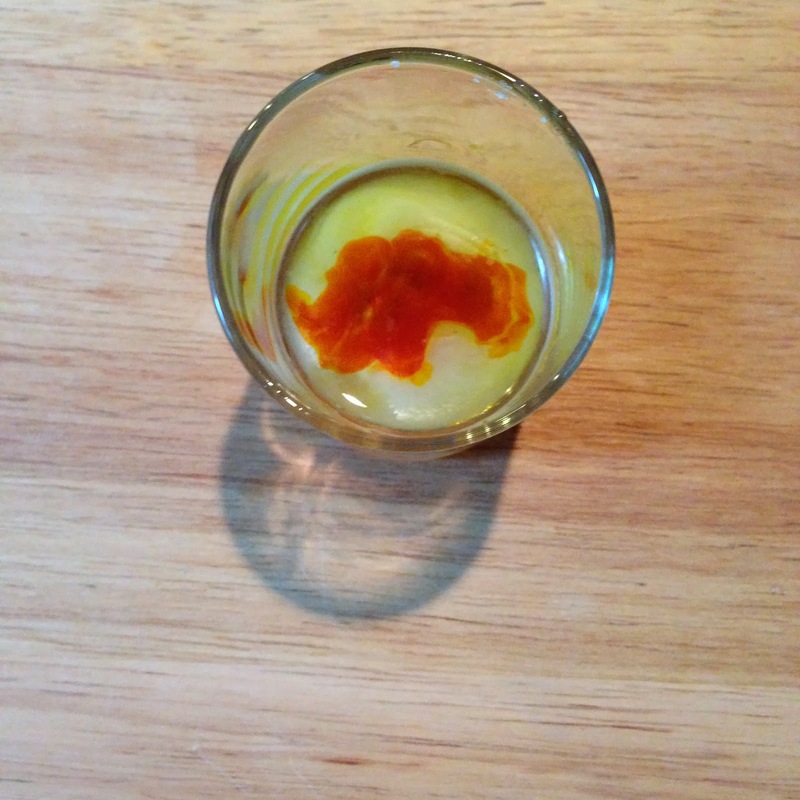 The middle oil is the bright red Sea Buckthorn Oil. A little goes a long way! Measure out the grated beeswax and Shea butter into a glass measuring cup and sit it in a pot with a few inches of simmering water. Stir until melted. Add in the Calendula oil and Sea Buckthorn oil. Stir again, until melted together. Remove from heat and stir in the Vitamin E Oil and essential oil if using. Quickly and carefully, pour the melted mixture into lip balm tubes. Allow to cool and harden. Place caps on tubes. This recipe makes enough for sharing! I am shocked! Can you believe that Josie Maran sells 100% Pure Argan Oil for a monstrous $96 for four ounces? Don't get me wrong, I sincerely adore Josie Maran! Her natural skin care formulations are quite splendid. On the other hand, for a single ingredient product such as Argan Oil, I truly consider her argan oil awfully high-priced! 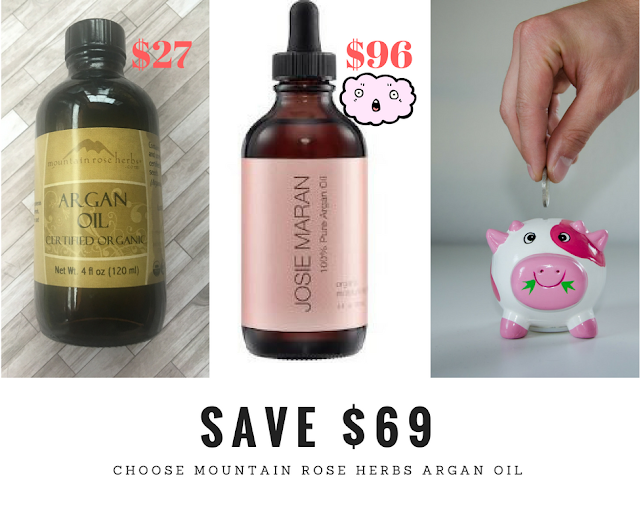 Did you know that you can get Certified Organic Argan Oil from Mountain RoseHerbs for merely $27 for four ounces? This is the brand that I have been using for years! I worship Mountain Rose Herbs unrefined, cold-pressed Argan Oil! It is such an extraordinary and exquisite oil that is pressed from the fruit kernels of the Moroccan Argan tree. Argan oil is a light oil that is quickly absorbed into the skin. It contains high amounts of tocopherols and phenols, carotenes, squaline and fatty acids. It honestly is a sumptuous oil. So head on over to Mountain Rose Herbs (shop HERE) and save yourself $69 by purchasing their wonderful Certified Organic Argan Oil! **I have a partnership with Mountain Rose Herbs but all opinions are my own. I was not compensated for this post! 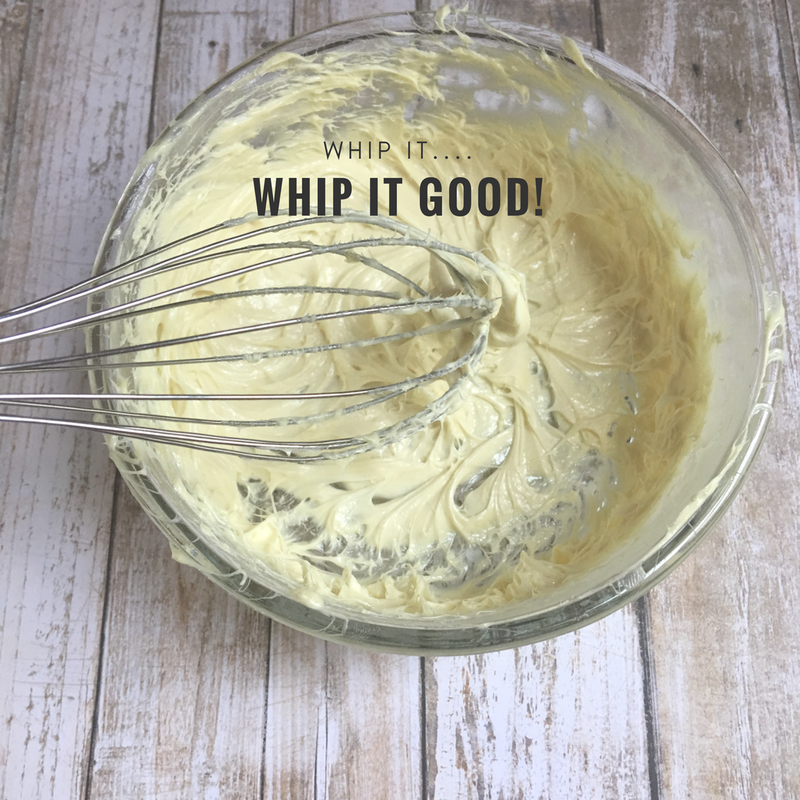 I was inspired to create this recipe from a product I sampled at Whole Foods a few days ago. This super nourishing balm is wonderful for the face, neck and under eye area. 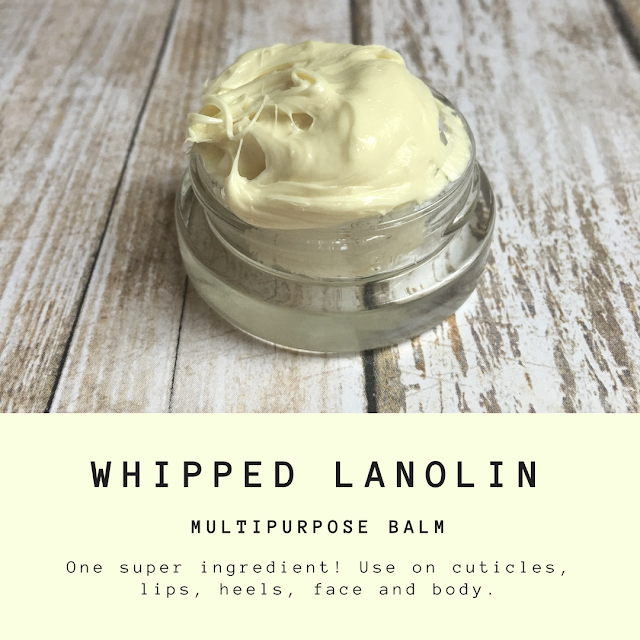 You can massage it into your cuticles and on your heels if you like. 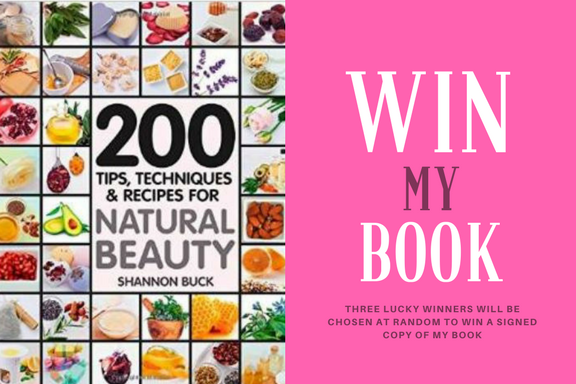 I used antioxidant-rich oils in my recipe along with a potent blend of lavender essential oil, rose essential oil and Roman Chamomile essential oil. A little of this product goes a very long way because it does not contain any water. Photo of the "other guy's" product I sampled in Whole Foods. For my recipe you will need the following ingredients. Most can be purchased from Mountain Rose Herbs. I make my own Calendula Infused Olive Oil. You can learn how to make your own HERE or purchase it from Mountain Rose Herbs HERE. 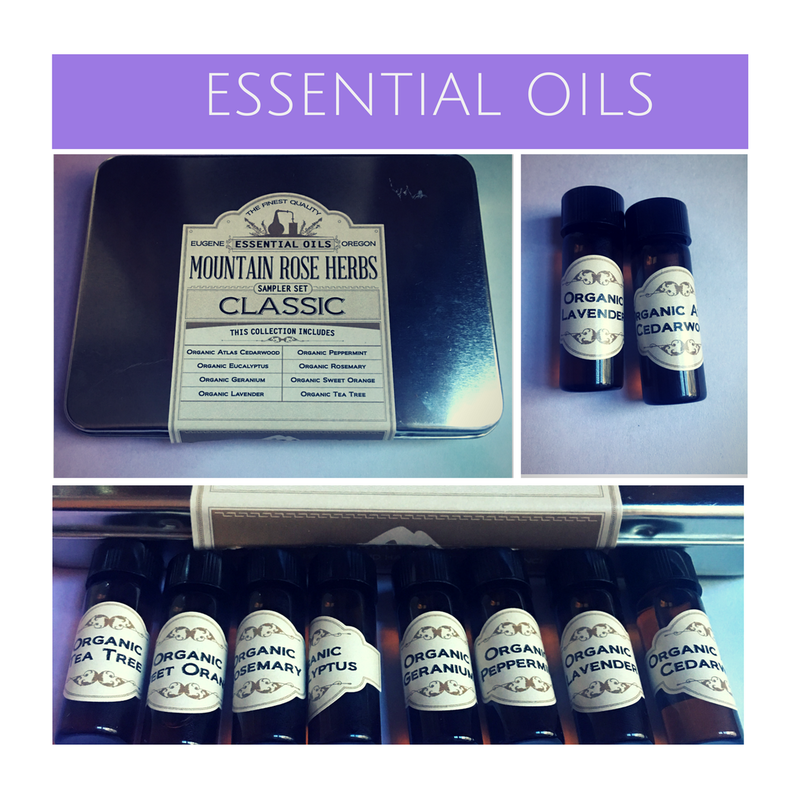 You can buy the Roman Chamomile and Bulgarian Rose Essential Oils from Mountain Rose Herbs HERE. My friend grows and distills a really wonderful lavender essential oil and has been pouring her love of lavender into her business since 2005. You can order Martha Lane Lavender HERE. 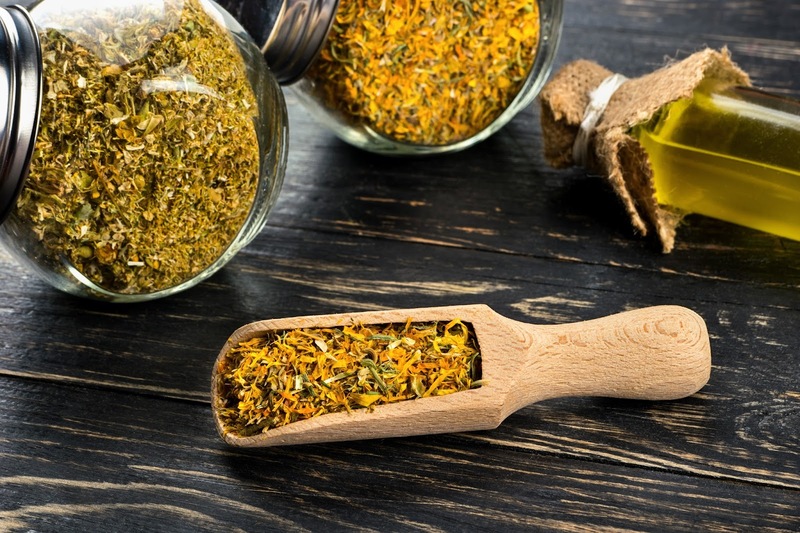 Place the calendula infused olive oil, castor oil, beeswax, seabuckthorn oil, and rosehip seed oil into a small glass measuring cup and sit it in a pan with a few inches of simmering water. Stir the ingredients until the oils and beeswax have melted. Remove from the heat. Add in the essential oils and stir to combine. Pour the liquid into a small container and allow to cool to room temperature. Place a lid on the container. After the balm cools down, it will have a very soft texture and is easily massaged into the skin. I like to use this as a night time treatment. Literally a small pea-sized amount is all it takes for my entire face and neck. I use another small amount on my hands too. This stuff is amazing!!! It has the intoxicating aroma of Bulgarian Rose....need I say more??? Cheers!! Serums are powerhouse beauty products that help improve visible signs of aging and help smooth fine lines and wrinkles. 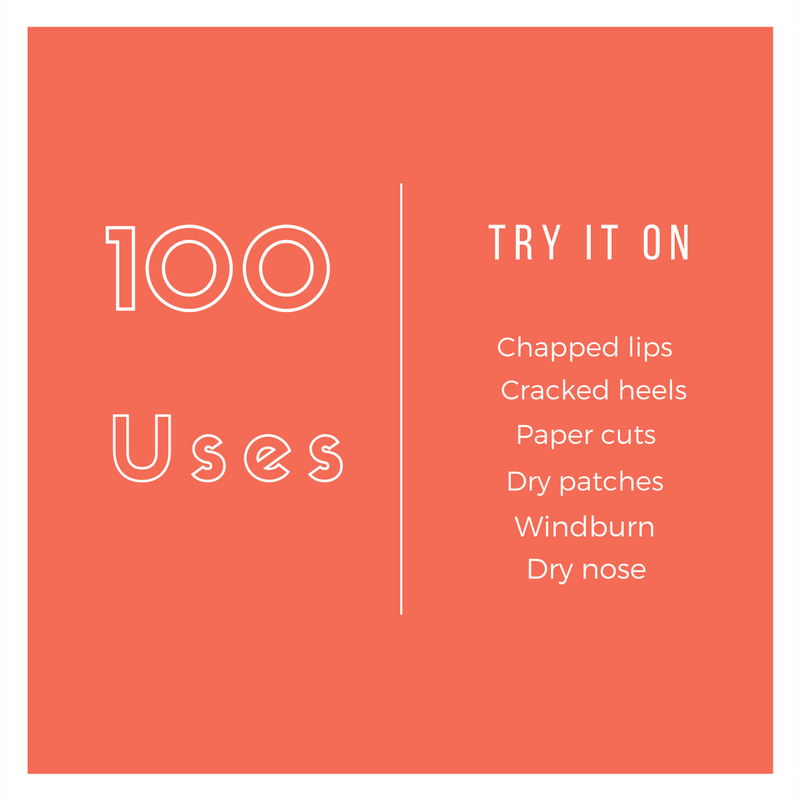 They are usually super concentrated and meant to be used before your regular moisturizer and makeup. Most serum formulations are liquid or oil and perfect for normal, oily and combination skin. Dry skin, especially during the colder months of the year, will need a stronger type of serum that acts as a barrier for parched skin. I have created mini solid serum drops! One tiny little solid serum drop is enough for your entire face! 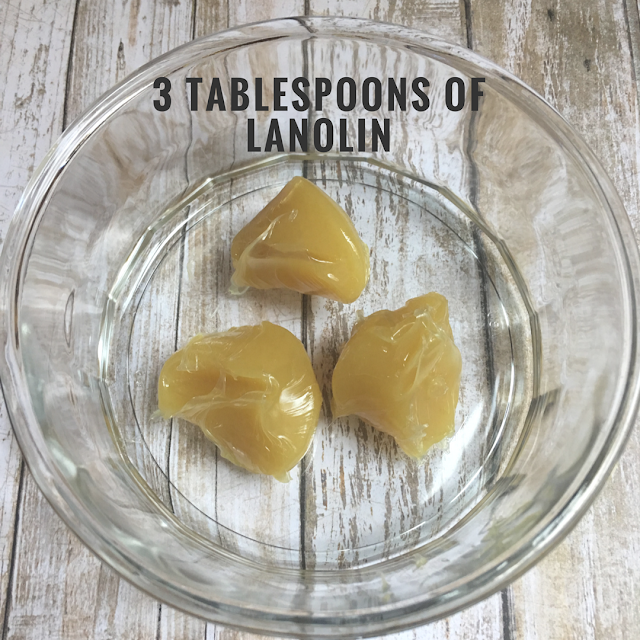 These are the same amount of a regular dose of liquid serum but are thickened with the addition of beeswax and nourishing Shea butter to provide a protective and healing barrier for your skin. 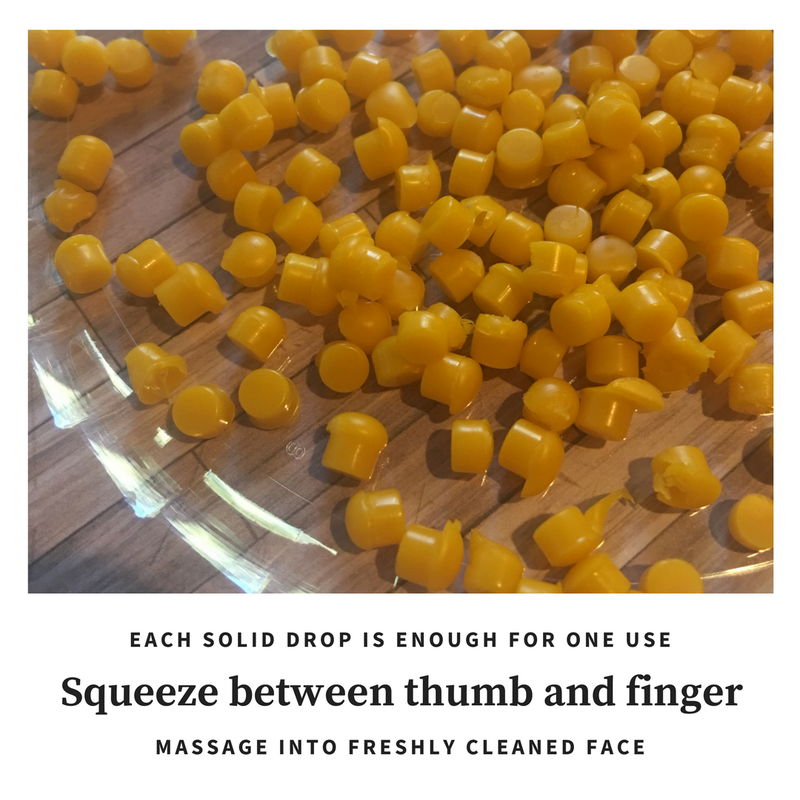 You simply smash one of these little beads between your thumb and finger and blend it into a creamy serum which gets massaged into freshly cleansed skin. Feel free to use it on your lips to soothe and moisturize! 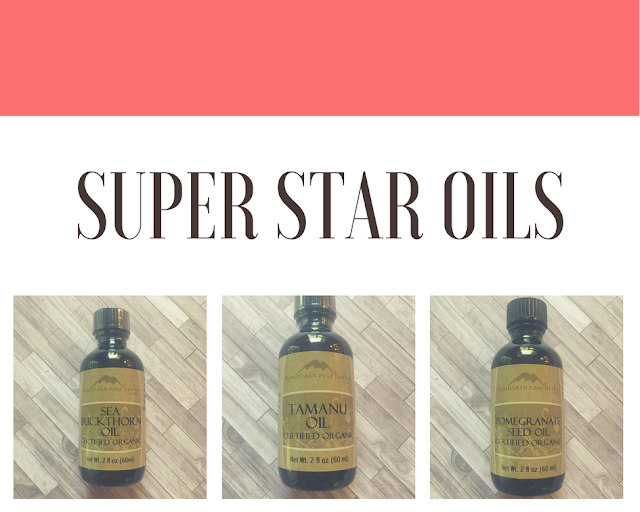 My formula contains three super star oils from Mountain Rose Herbs (shop here). 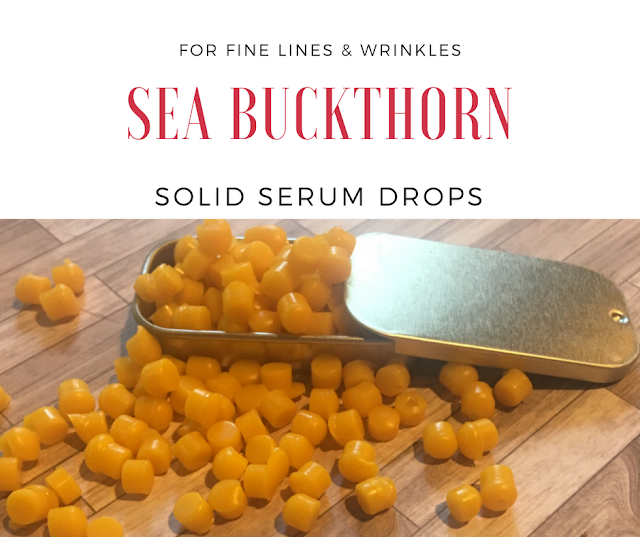 Sea Buckthorn oil is a cold pressed oil that is highly prized in skin care. It contains essential fatty acids, carotenes, tocopherols and phytosterols. It is super concentrated and just a small amount in the formula is very potent and gives the beautiful yellow hue to the solid serum drops. Tamanu oil from Mountain Rose Herbs is a beautiful bold dark green. A tiny amount of this potent oil is all you need to act as an anti aging ingredient and help support supple skin. Pomegranate Seed Oil from Mountain Rose Herbs is a luxurious and deeply penetrating oil from the cold pressed organic seeds of pomegranate fruit. It truly is a remarkable ingredient for dry and mature skin and is perfect in this serum recipe. You can shop for all the ingredients in this recipe at www.MountainRoseHerbs.com. I bought a Lego shaped silicone candy mold from the craft store. 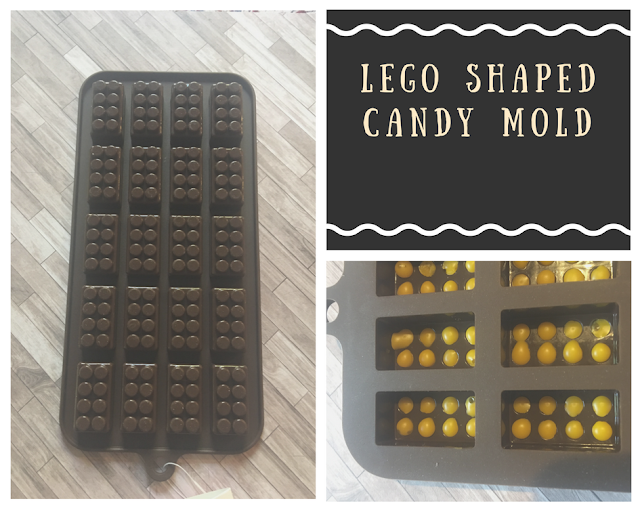 The little round cavities in the mold are the perfect size for filling up with serum. Each little cavity holds about two drops of the melted serum. I used a plastic pipette and worked quickly to fill up the little holes. 1. 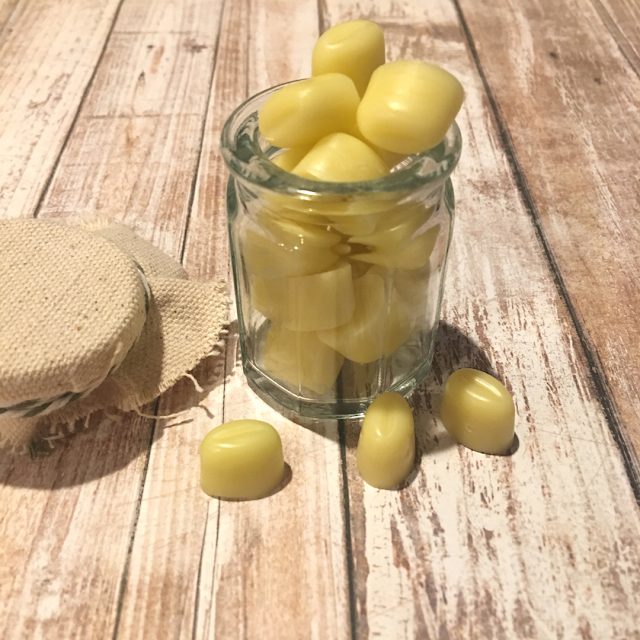 Begin by adding the beeswax, pomegranate seed oil, tamanu oil, sea buckshorn oil and shea butter into a glass measuring cup, placed in a simmering water bath until they have melted. Remove from heat. 2. Add in the rose absolute oil. Mix well. 3. Carefully use a pipette to drop a few drops of warm melted serum into the small wells of the silicone mold. Allow to harden completely to room temperature. 4. 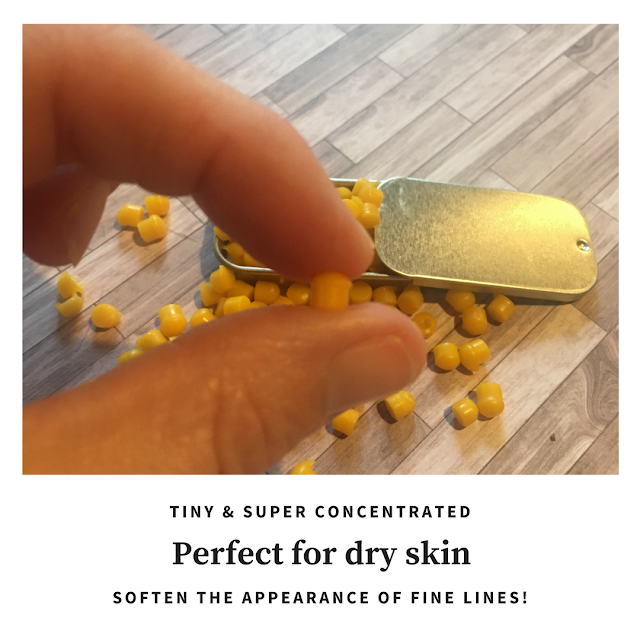 Pop out the tiny concentrated solid serum drops and store in tin, metal, or glass containers at room temp. I have the most ADORABLE beauty post EVER!! Imagine solid lotion bars in an itty bitty bean shape. SQUEEEEE.....I can't handle how cute these are!! 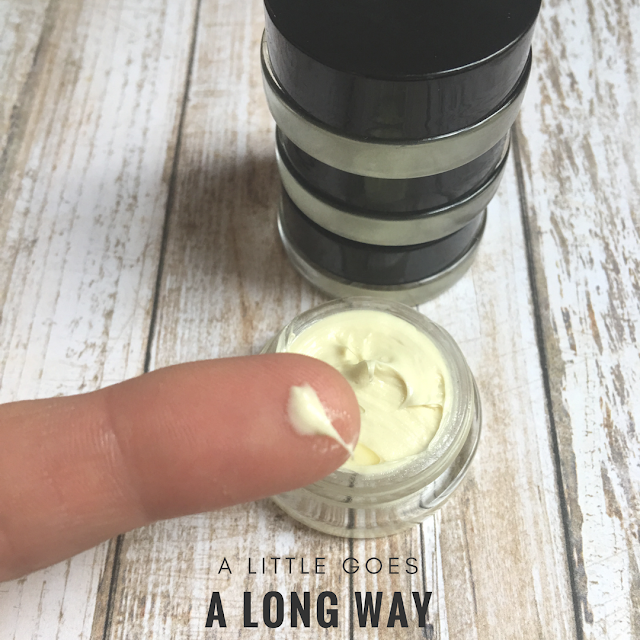 The idea came to me when I was using one of my regular-sized lotion bars and I thought to myself, "Geez, I wish I could make a lotion bar in a tiny size that was just enough for a single use". I ordered a few tiny silicone coffee bean molds from Amazon. Each little bean cavity holds a quarter teaspoon of lotion. These are meant for making chocolate, but are perfect for my Body Butter Beans. 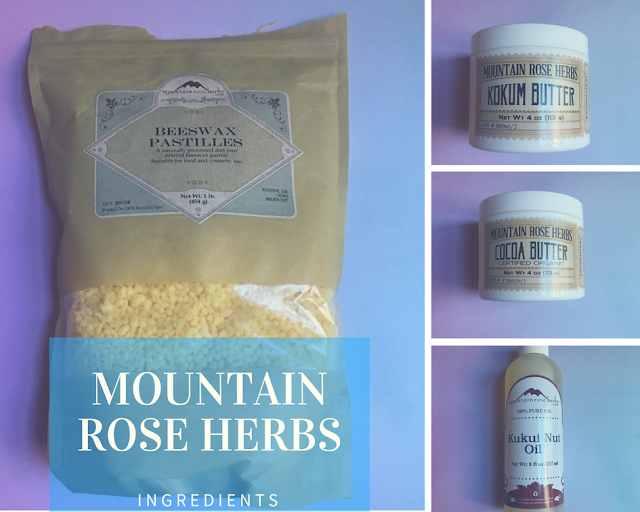 I purchased all the ingredients from Mountain Rose Herbs. They truly have the best beeswax, kokum butter, cocoa butter and kukui nut oil. You can shop with them HERE. 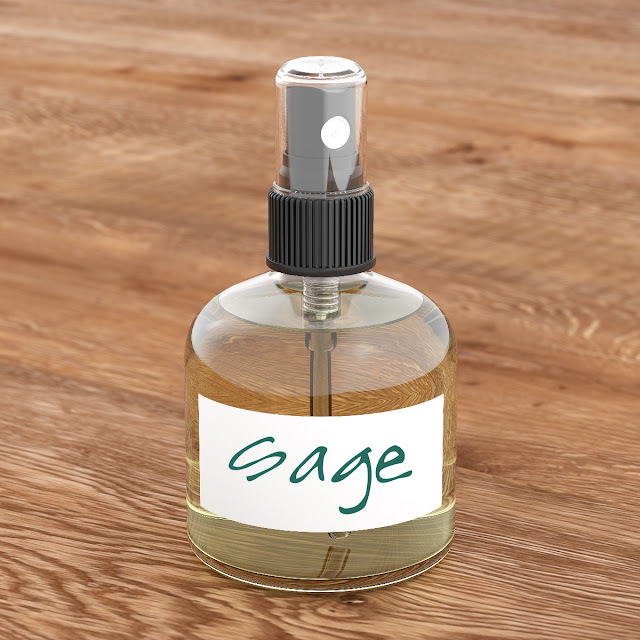 I also used a few different essential oils that I bought from Mountain Rose Herbs. They have an amazing classic essential oil kit. Check them out HERE. You get eight small bottles of essential oil in the Mountain Rose Herbs Classic Sampler Set. I chose lavender and cedarwood essential oil in my recipe. 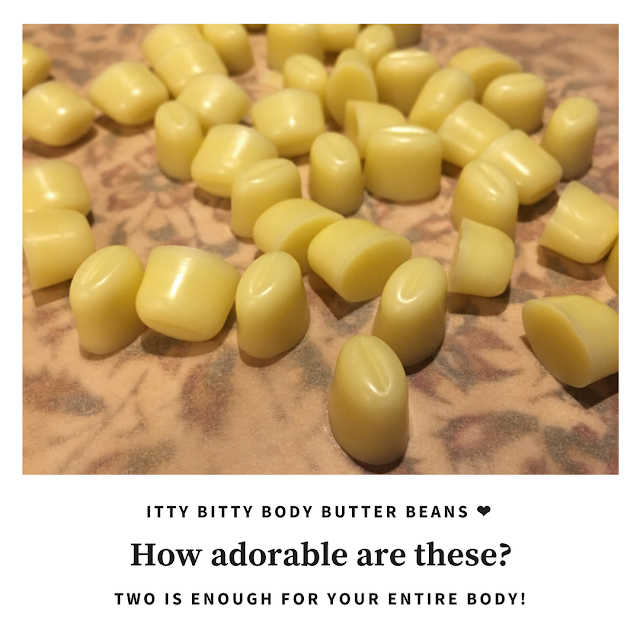 The itty bitty body butter beans smell so divine! 1. Begin by adding the beeswax, cocoa butter, kokum butter and kukui nut oil into a glass measuring cup, placed in a simmering water bath until they have melted. Remove from heat. 2. Add in your essential oils. 3. Carefully pour the hot mixture into the cavities of your silicone molds. Allow to harden completely to room temperature. 4. 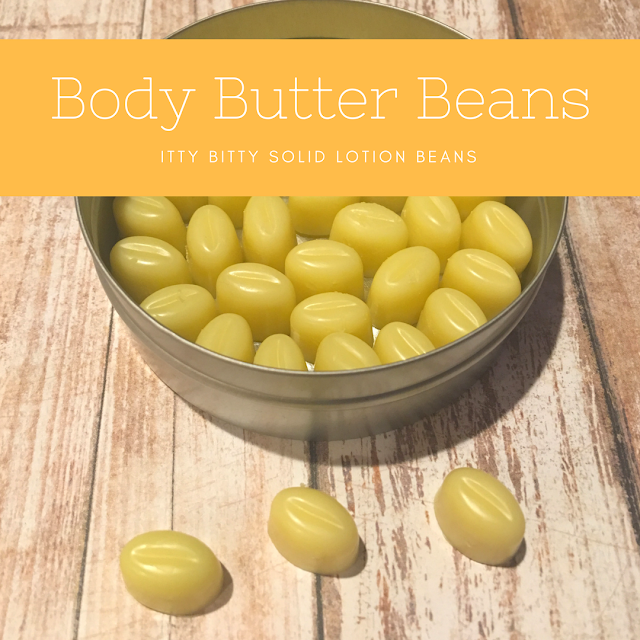 Pop out the body butter beans and store in tin, metal, or glass containers at room temp. 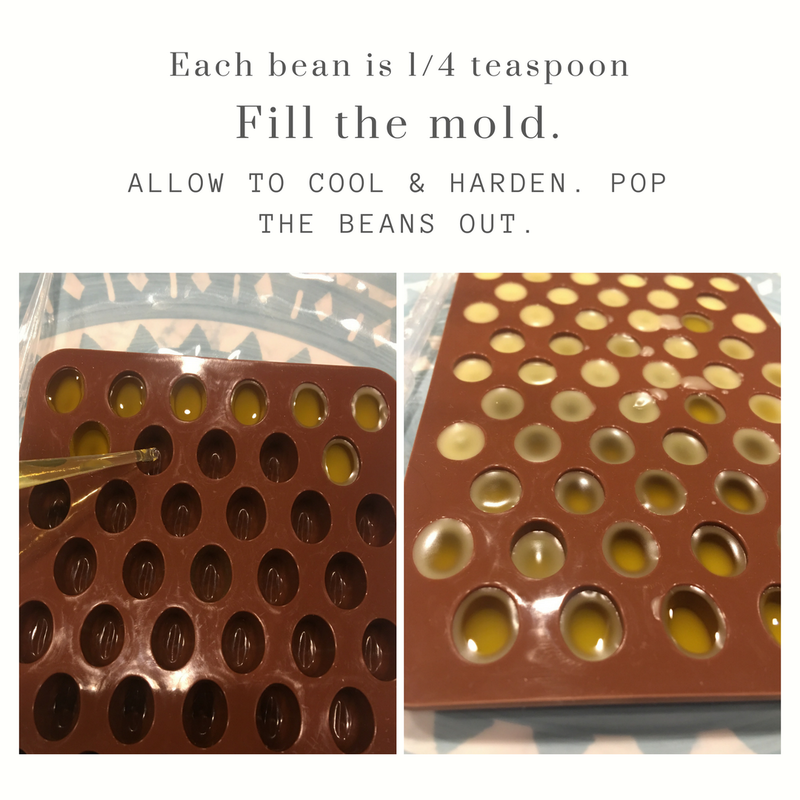 I used a pipette to easily fill the tiny little bean cavities in the silicone mold. You could also use a 1/4 teaspoon if you choose. Make sure to fill the little cavities up all the way, but don't over fill! Once they completely cool down and harden, they are super easy to pop out of the mold. I still can't believe how cute these are!! 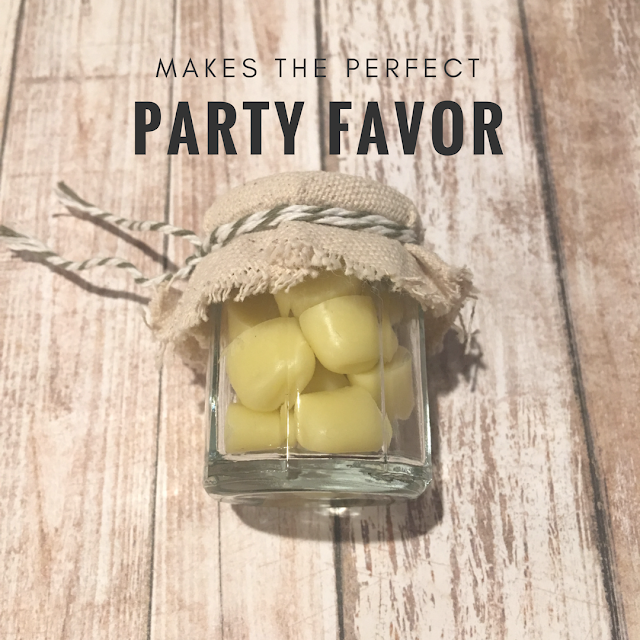 These would make the perfect Party Favor for weddings, dinner parties, birthday parties, or holiday gift giving. I know exactly what I am making for gifts in 2018!!! These are totally portable! Just don't let them get too hot or they will start to melt. It only takes one to do your hands and lips. Two is plenty for your entire body. 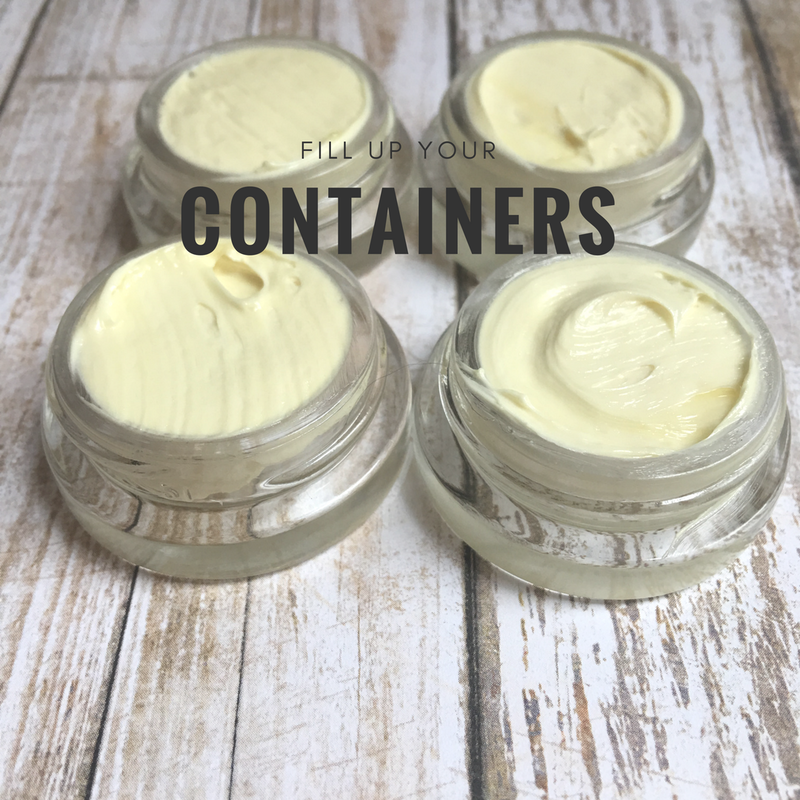 If you want to substitute the kokum butter you can use mango butter or shea butter (shop for them here). If you want to substitute the kukui nut oil you can choose almond oil, avocado oil, baobab oil, coconut oil, grapeseed oil, hazelnut oil, hemp seed oil, olive oil, sesame oil, or sunflower seed oil (shop for all of these here).